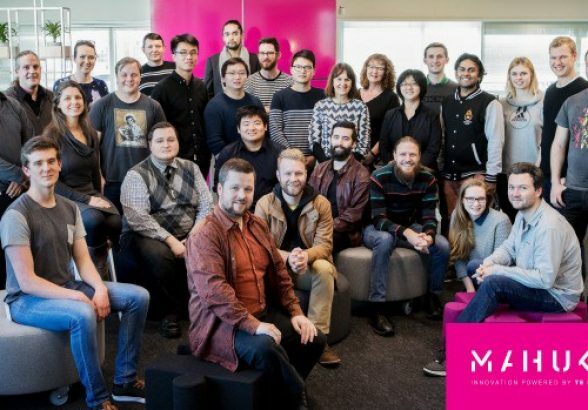 Te Papa launched its first acceleration programme, Mahuki, in August. The programme is now nearing the half way mark. There are ten start-up teams focused on innovating the GLAM sector (Galleries, Libraries, Archives and Museums). It is an in-residence programme and the Mahuki hub is located within Te Papa. The teams are working closely with museum experts, museum visitors and other cultural institutions to validate their ideas and build sustainable global businesses. Given the size of the New Zealand market and our distance from bigger economies, Mahuki aims to take a ‘global from day one’ approach. To explore market opportunities, Mahuki will take these teams on a two week trip to the US towards the end of the programme. The GLAM sector represents prestigious customers and large markets (it represents 4.3% of GDP in the US – larger than the construction industry). There are more museums in the world than MacDonald’s and Starbucks combined. There are in fact an estimated 75,000 of them, with 35,000 located in the US. And while numbers of museums are still modest in China, that market has developed rapidly with a new museum opening every day. The cultural sector is ripe for transformation – but entrepreneurs don’t necessarily know how to access the sector, how to best meet its needs or even recognise it’s potential. At the same time, the experience economy is booming. However, no matter how large or attractive a market is – this means nothing if you don’t know how to access it. The Mahuki programme has been designed to build the capability of businesses to deliver effectively to this valuable sector. Some of the key innovation trends and opportunities being seen in the sector include things such as augmented and virtual reality, gamification, location based services, mobile and BYOD, natural user interfaces, personalised goods and services, and wearable technology.